Finally, Time has recently had some pictures that are interesting to post. Isn't this gorgeous? 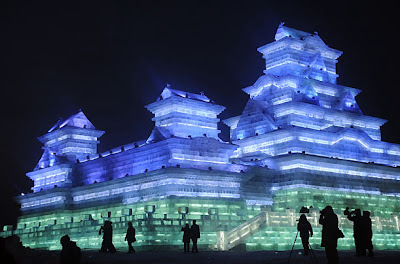 Tourists walk around one of the displays at the Ice and Snow Festival during its preview in Harbin, China.